Murder, music, cannabis, and karma — Ta Smallz is back with Bizzy Bone and a new Cannabis Anthem, and after more than thirty years he’s finally on his way to finding justice for his mother’s murder. Treating PTSD with cannabis and solving homicides with hip-hop — The Tale of Ta Smallz is no small story. You may know his songs featuring members of Bone Thugs n’ Harmony, or seen him model for Tommy Hilfiger or Ed Hardy, or recognize him as a backup dancer for New Kids on the Block and Marky Mark. But Ta Smallz’ life story has a tragic beginning, one that led him to success fulfilling the family band dream, and put him on a mission of positivity. Ta Smallz’ family moved from Ohio to California when we was 5 years old. His parents had a rock band called Koyna, and moved to the Golden State to pursue their music careers. Things got difficult in his parent’s relationship and as many parents do, his separated. In December 1983, less than three weeks before the happiest time of year for most families, Ta Smallz awoke to find his mother missing. What was left in her place was her bloody bedroom, a vicious crime scene where Marsha Carter was brutally murdered. Ta Smallz album and songs about his mother’s murder made waves in the universe, and the universe responded 6 years later. Calvin Featherson, who was an original witness in the case, came forward in late 2016 offering his testimony to help convict Marsha Carter’s murderer, Sherill Smothers. According to Ta Smallz, he came down with cancer and a case of a guilty conscience prompted him to come clean to authorities. 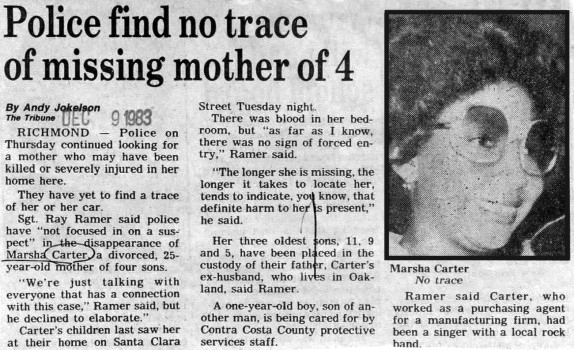 In 1983, Calvin Featherson, an acquaintance of Smothers, came forward with his story as police searched for Marsha’s whereabouts. Featherson told police that weeks earlier, Smothers had offered him $500 to help him kill Marsha. He said Smothers told him he wanted to break into Carter’s home, kill her and dump her body in a Sacramento hotel parking lot. He said Smothers showed him a map of Sacramento, and pointed to a hotel parking lot where he wanted to dump her once murdered. Police searched that parking lot and that’s where they found her body stuffed in the trunk of her car. 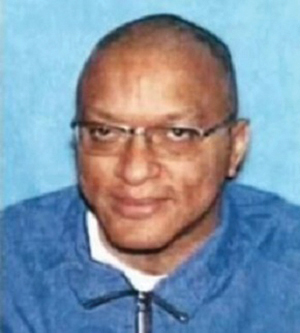 Sherill Smothers was an original person of interest, someone who Marsha Carter dated and had broken up with. Ta Smallz recalls his mother telling him in his dreams the identity of his killer, but without hard evidence it couldn’t be proven to authorities. 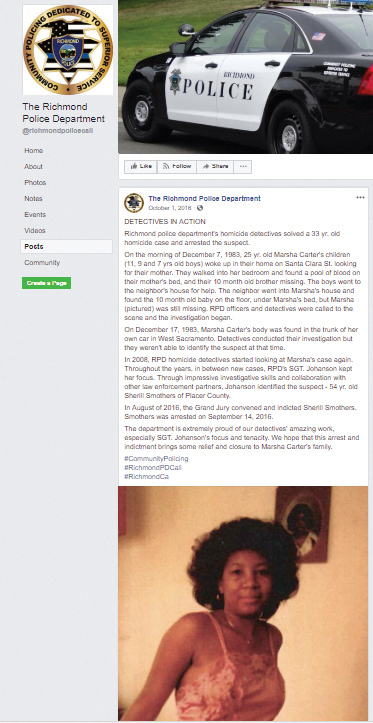 After Featherson came forward, a Richmond police cold case detective took a second look at the case and was able to successfully link Sherill Smothers to the crime scene through blood DNA evidence. 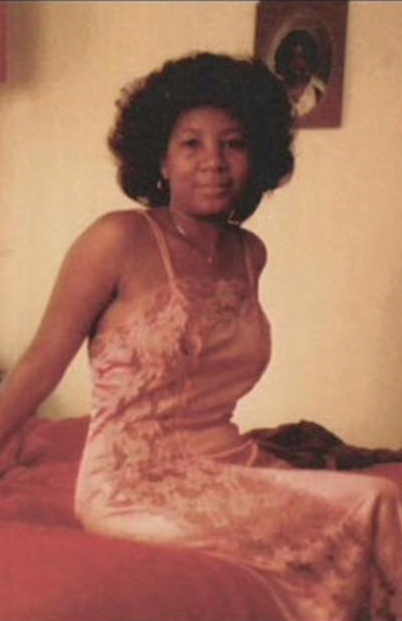 Smothers was originally questioned by police about Marsha’s murder in 1983. He said he had an alibi which was a friend he’d gone out for ice cream with. The friend, who Featherson said Smothers recruited, backed up the alibi, and because of that alibi the investigation went cold for 33 years. Featherson testified under oath, that he was planning to tell police about Smothers’ scheme before Marsha was killed, but he was worried they wouldn’t believe him. He said his plan was to get the $500, then tell police, and show them money as evidence. He said he didn’t hear from Smothers for a few days, then turned on the news one night and realized Carter was a missing person. “I’m so sorry that I didn’t go to the police sooner,” he said to the grand jury. Featherson’s word, on its own, wasn’t enough to charge Smothers with a crime. Featherson secretly recorded conversations between the two. In one conversation, Smothers asked if Featherson had told police “about the maps” but never confessed to killing Marsha. In August 2016, Sherill Smothers was indicted by a secret grand jury in Contra Costa County . September 14, 2016 he was arrested at his home. He awaits sentencing and faces additional penalization for murder with the use of a knife. He is currently out on a $1.3million bond right now. With a karmic twist, five years after the brutal slaying of of Marsha Carter, her murderer got into a car accident with his family. His family was thrown out [of the car], ended up safe without a scratch on them. He got paralyzed from the neck down, so now he’s a quadriplegic. He was hit by a drunk driver, but the Corvette convertible roof flew off during the accident. He sued General Motors and was awarded $6.1million. “Since I do suffer from post traumatic stress, I use medical marijuana. I eat foods infused with medical marijuana. I have my own strains Life OG and Carter Kush. She [my daughter Mikkel] has one coming out called Rose Buds. “High Off Life is my new album with my kids. The group is called The Carter. The inspiration of this album is to let people know that there’s a light at the end of the tunnel. I put out the Who Killed My Momma album. We were going for it, it was something that had never been done. I was using it to create a result. On this [album] the result was created. Now we’re High Off Life. It’s a triple [meaning]. It’s the name of my group, it’s the name my medical marijuana and I’m high off life of the world. The most high of everybody. His new album is called Euphoric Audio, featuring a 12 person band of his family members. Ta Smallz penned a book called, “Who Killed My Momma,” and he says after the book comes out he will be making a feature film to follow it up. He currently has Mark Whalberg, 50 Cent and Ice Cube involved in the project. High Off Life features artists like Lil Wayne, Birdman, Too Short, E40, The Carter. He also has his clothing line Life Line, in addition to modeling contracts for brands like Pink Dolphin. He has inked partnerships with Culinary Bud Delights and Reefer City Farms for his Life OG strain of flower and edibles line coming out. Additionally, he has a brand of vapes called Life Lite Vapes by Rokin and a glass line called Life Glass. “[We plan to do] tours and conventions [especially in the states that have just legalized] so people have awareness how to use it and be safe with to and not to break any laws. And also to let them be aware and healing that it does, a lot of people don’t know. You can eat it vape it, some people just really don’t know,” he said. In addition to Culinary Bud Delights, Chef Nuha catered an infused lunch for the music video shoot at the Hollywood Hills mansion. They went on to film a live performance at the 4/20 Friday Night Sesh at The 420 Nurses offices in Canoga Park. When asked what his views were on using cannabis as a family, Ta Smallz says he waited until his children became of age to share the cannabis plant with them.